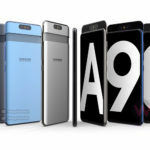 Samsung fans are eagerly looking forward to the company’s ‘A Galaxy’ launch event on April 10, where it is expected to take the wraps off the Galaxy A90. As shown by a concept video of the smartphone that surfaced online recently, it is expected to have a sliding and rotating camera with a total of three sensors. Ahead of its formal debut next week, a new leak out of China has shed some more light on the hardware specifications of the mid-range phone. World’s First Snapdragon 7150-Powered Smartphone? As claimed by previous leaks, the latest leak suggests the Samsung Galaxy A90 will run on Qualcomm’s unannounced Snapdragon 7150 chipset. The Snapdragon 7150, if rumors are to be believed, will be Qualcomm’s next-generation mid-range chipset and a successor to the Snapdragon 710 announced last year. No other details regarding the chipset are known currently, except that it may be called the Snapdragon 712. 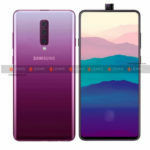 The upcoming Galaxy A90 is tipped to feature a 6.7-inch Super AMOLED display with the exact same 1080 x 2400 pixels Full HD+ resolution as the recently launched Galaxy A70. 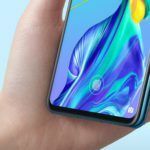 Unlike the Galaxy A70, the Galaxy A90 is expected to have a Notch-less Infinity display, made possible by the sliding and rotating camera design. In terms of physical size, the smartphone reportedly measures 165 x 76.5 x 9.0mm and weighs in at 219 grams. For reference, the Galaxy A70 measures 164.3 x 76.7 x 7.9mm. Moving on to optics, the new leak claims the Galaxy A90 will have a 48MP primary sensor clubbed with an f/2.0 aperture. It will also feature an 8MP secondary sensor coupled with an f/2.4 aperture and a ToF sensor. As I mentioned earlier, the Galaxy A90 is tipped to have a sliding and rotating camera design, which means it will not have a separate sensor for taking selfies. Surprisingly, the leak claims the Galaxy A90 will only have a 3700mAh capacity battery with 25W fast charging support. If the information is indeed accurate, then the Galaxy A90 may prove to be a little disappointing in terms of battery life. 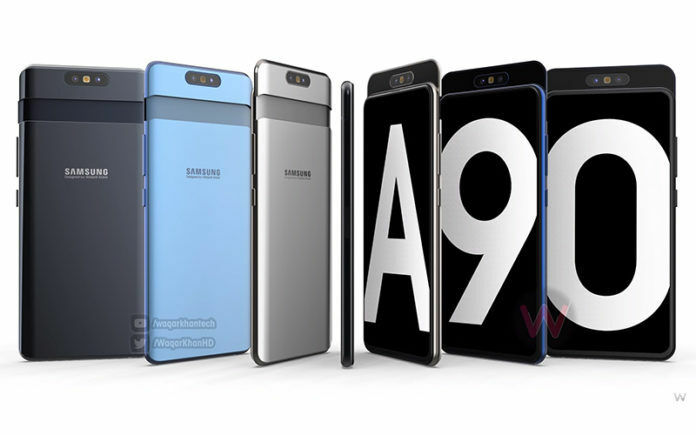 Like other Galaxy A-series smartphones released so far in 2019, we expect the Galaxy A90 to ship with Android Pie-based Samsung One UI out of the box. 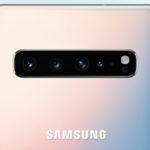 Samsung ‘Triple Intellicam’ Trademark Registered with EUIPO, New Camera Feature Used on Galaxy A90?